Expert perspectives on challenges and opportunities in the field. The stem cell field keeps advancing rapidly, with biological discoveries and knowledge expanding daily. However, the clinical pace has been slower, mostly due to the unique nature of human trials with biologics, the expenses involved, and long term follow up needed. The field is now truly standing at the precipice, where either it continues to move upward in its progress, or drops into an abyss of unsolvable challenges. AlphaMed Press, a leading publisher in the field with two major high impact journals dedicated to disseminating sound basic and translational regenerative medicine science (stem cells, and stem cells translational medicine), is sponsoring a panel of experts that will cover this timely topic. Participants include Drs. Mahendra Rao, Jan Nolta, Joanne Kurtzberg, and Anthony Atala. The expert panel will cover relevant scientific and clinical advances, current challenges, and opportunities for the future. The panel promises to present a lively discussion, with active audience participation. The Session Objectives are to detail the progress and future aspirations for translating stem cell therapies to the clinic. Having adequate translation requires the development of infrastructure, resources, and technology to efficiently run clinical trials, evaluate safety and efficacy for new therapies, and develop a process to ensure rapid regulatory approval for new therapies with regulatory agencies. This should also enable commercialization of medical devices, reagents, and other products required for cell therapies through the development and dissemination of innovative methods and procedures for regenerative medicine based products. 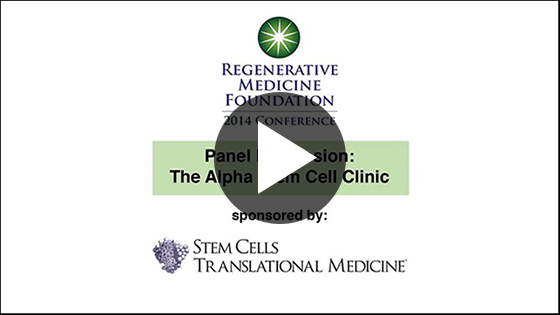 The Alpha Stem Cell Clinic: What's Next? A panel made up of several of the world's top experts in regenerative medicine discuss the progress of the Alpha Stem Cell Clinic initiative introduced in the debut issue of STEM CELLS Translational Medicine and how to move it along. They focus on how CIRM's infrastructure might be applied to the Clinic, the tools needed to move the Clinic concept worldwide, and translational technologies currently in the field and what is needed to move them into clinical application. Drs. 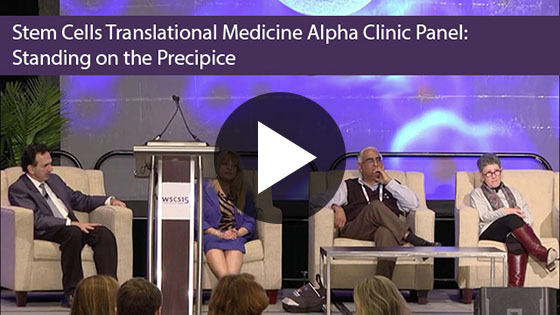 Alan Trounson, Mahendra Rao, Paolo De Coppi and Anthony Atala participated in this discussion at the 2014 Regenerative Medicine Conference in May. 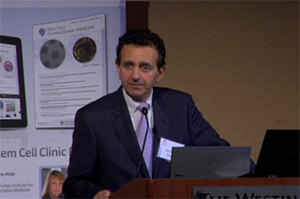 A video of Dr. Atala's opening remarks can be found here. Presented with support from the California Institute for Regenerative Medicine (CIRM) and Quintiles. 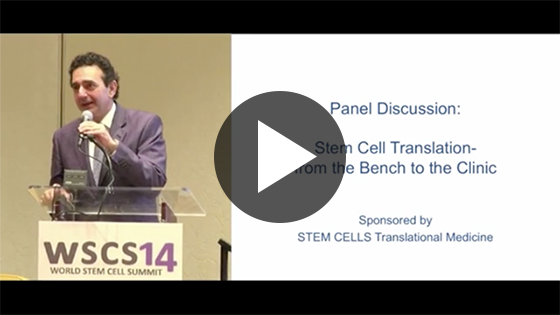 A panel of experts tackles the Alpha Stem Cell Clinic, a model introduced in the debut issue of STEM CELLS Translational Medicine, and the challenges in steering this concept around numerous hurdles as it moves from the bench to the bedside. Drs. 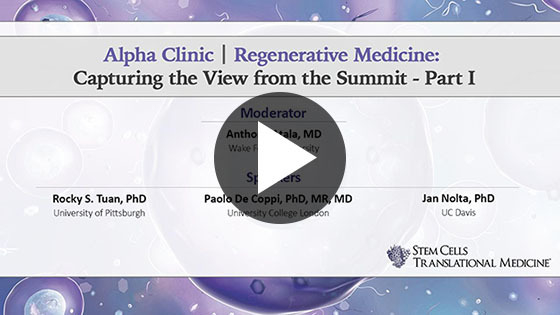 Anthony Atala, Alan Trounson, Mahendra Rao, Paolo De Coppi and David Scadden participated in this special session taped during the 2012 Regenerative Medicine Foundation Conference.